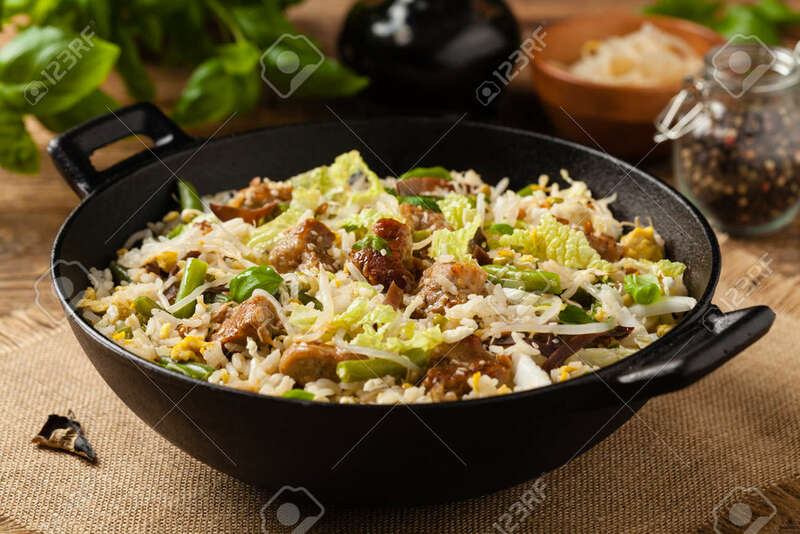 Fried Veal, With Rice, Chinese Cabbage And Mushrooms. Sprinkled With Sesame And Soy Sauce. Front View. Fotos, Retratos, Imágenes Y Fotografía De Archivo Libres De Derecho. Image 118519786.